IDentiFake - IDScanner.com by TokenWorks, Inc. Performs forensic checks of holograms, micro-printing, ultraviolet and infrared images, and other ID security features. 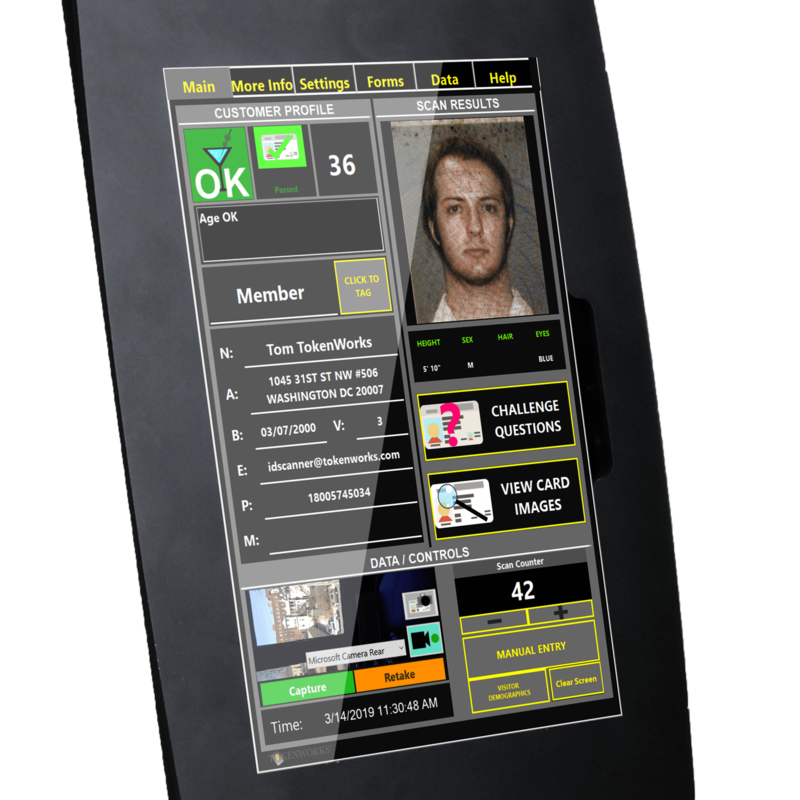 Performs over 50 different forensic checks on every ID scanned. Matching up against a library of real IDs from over 196 countries and all 50 US states, fake IDs are easily called out. All scanned data uploads to IDVisor Sync, our cloud service. High-quality 600 dpi images that detects microprint text and other document-specific features. Captures front and back full-color RGB images, near-infrared, barcode and magnetic data in a single scan. The best fake ID detection software needs the best hardware: Microsoft Surface. Easy-to-use interface designed with simplicity in mind. Contact Us today for a free consultation with one of our Fake ID Detection Experts.